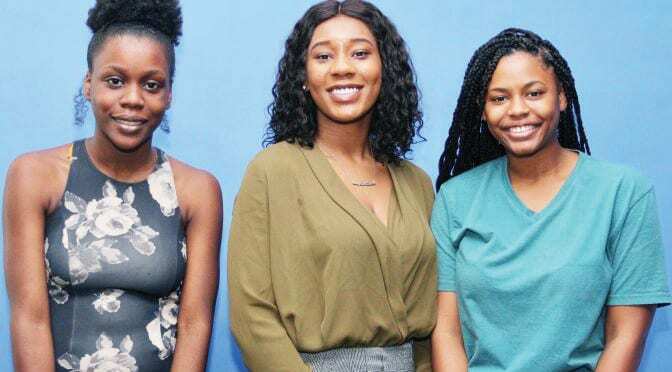 NASHVILLE, TN (TSU News Service) — Three Tennessee State University students will spend part of their summer participating in an international research experience in China. Shaniqua Jones, Christine Mba and Whitney Nicole Russell, all senior STEM majors and honor students, are part of the Tennessee Louis Stokes Alliance for Minority Participation program at TSU. The program runs from June 4-29. Dr. Dee Green, director of TLSAMP, said international research experiences, such as the China project, provide visiting undergraduate students the opportunity to “engage in high quality collaborative research” with mentorship from researchers at a host lab. The experience is also a motivation for participants to pursue graduate studies, Green said. “The exposure also broadens our students’ cultural awareness, professional development and networking skills,” she said. Jones, a mechanical engineering major from Toledo, Ohio, whose research focus is in the development of functional prosthetics, said the summer experience will help in her quest to understand global engineering and medical problems. “One of my personal missions is the advancement of minority women in engineering and a sense of globalization to debunk cultural stereotypes,” said Jones, who has been recognized as a “Dean Scholar Researcher,” for advancement in engineering research. Mba, a biology major from Memphis with interest in a cure for cancer, said her research and lab experiences have helped her navigate and understand different laboratory settings and protocols with ease. “I look forward to the opportunity to conduct research alongside experienced professors in China, while expanding my knowledge base and gaining an enhanced perspective of the culture,” Mba said. “This opportunity will afford me the ability to advance my skills in the lab, while also enhancing my cultural experiences,” Russell said. For more information on the TLSAMP at TSU, go to http://www.tnstate.edu/tlsamp/opp_info.aspx. The National Science Foundation funds the program.